Russian halakist; died in Grodno April 30, 1807. He was dayyan there for forty years. He is ordinarily called "saint," "pious," and "modest." He is the author of "Ḥamude Daniel" (The Precious Things of Daniel), on questions concerning the preparation of food (Grodno, 1810). 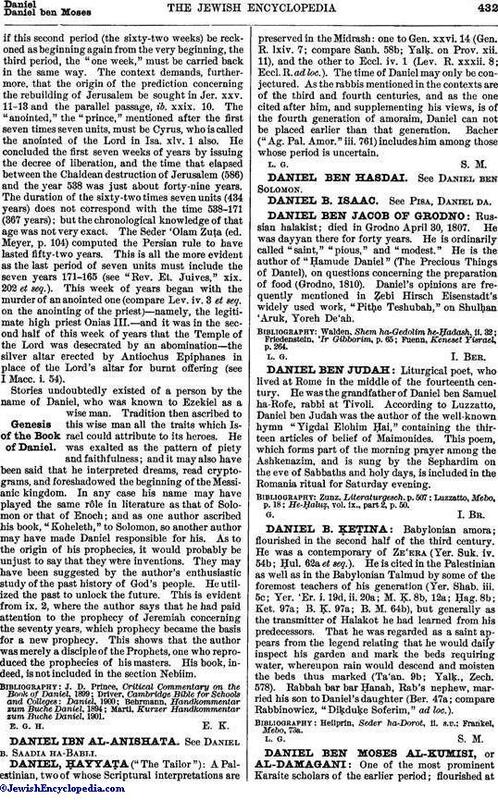 Daniel's opinions are frequently mentioned in Ẓebi Hirsch Eisenstadt's widely used work, "Pitḥe Teshubah," on Shulḥan 'Aruk, Yoreh De'ah. Fuenn, Keneset Yisrael, p. 264.